What if technology could help us stop poaching before it happened? All of us concerned about the devastating number of elephants killed for ivory celebrate when a major wildlife trafficker is arrested like Emile N'Bouke, a West African ivory kingpin who has captured last year. It is estimated that he was responsible from some 10,000 elephant deaths. Prosecuting him to the full extent of the law is critical to deterring elephant poaching. But we do not want to wait to seize criminals with ivory after the elephants are gone. There must be a way to identify and capture the criminals before they kill elephants. Conservationists, military personnel, and techies are actually collaborating on drone use, satellite imagery, and complex analytical modeling to make this idea - once only in the realm of science fiction - a reality. On March 16, H.E. Prof. Judi Wakhungu, Cabinet Secretary, Kenya Ministry of Environment, Water and Natural Resources announced a unique partnership between Kenya Wildlife Service (KWS) and IFAW designed to protect elephants by stopping poaching before it happens. Read more about it in our press release. More than a year has passed since the International Fund for Animal Welfare (IFAW) released our report Criminal Nature, detailing the links between illegal wildlife trade, criminal syndicates and terrorism. Many references have been made to this seminal report's findings, and most recently, I was quoted in a story titled " Can Intelligence Community Tools and Practices Help Stop Poaching in Africa?" for Trajectory magazine, a publication of the United States Geospatial Intelligence Foundation (USGIF) an organization promoting geospatial intelligence. The question this article poses is an important one: can intelligence community tools and practices help stop poaching in Africa? Since the poaching threat is now universally accepted to be a dangerous violent crime linked to weapons, drugs and human trafficking, a collective movement is underway now to identify ways to use military and intelligence tactics to fight wildlife crime syndicates. Poachers are increasingly engaged with the global trafficking syndicates and illegal financial networks that are moving the ivory and other products around the world to where the demand and markets are strongest. Local authorities are woefully outmatched and literally outgunned when they go up against sophisticated syndicates. If the international community of government agencies, authorities like INTERPOL, and stakeholder organizations like us sat idly by, these syndicates would overrun parts of Africa and establish networks that would ultimately be so entrenched that even strong and swift military solutions would be unable to quell its deadly operations. With the help of military experts and security intelligence partners, we are developing strategies to fight criminal networks with stronger enforcement networks, to counter poaching technology with smarter anti-poaching technology. When most people think about technology used in fight against poaching, they think about drones - unmanned aerial vehicles (UAVs). 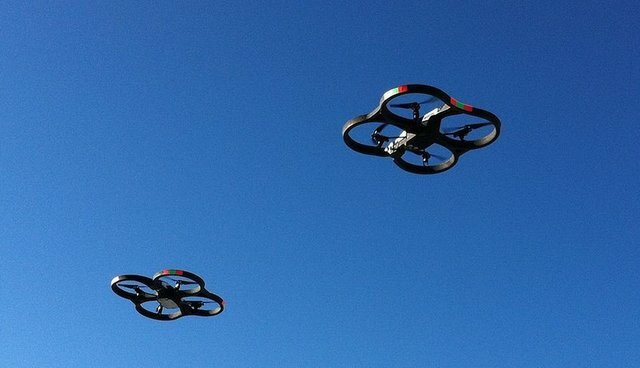 Drones can be a helpful technology but they are only a tool, not a solution. Consider this analogy. The advent of the automobile may have made it easier for police officers to get around, but it did not rid communities of crime. Police to this day must rely on intelligence gathered regarding criminal trends to make their inevitably limited patrols more effective in reducing crime. Of course we need to use the best technology available and we will. But more importantly, we need to: 1.) evolve data collection, 2.) accommodate more indicators, and 3.) refine our prediction of poaching activity before an animal like an elephant or rhino dies. Tom Snitch, executive officer of the United Nation's Wildlife Enforcement Monitoring System and a visiting professor at the University of Maryland Institute for Advanced Computer Studies, working with other scientists and analysts has developed a program to counteract wildlife crime using not only UAVs but also algorithms to determine where to fly them. 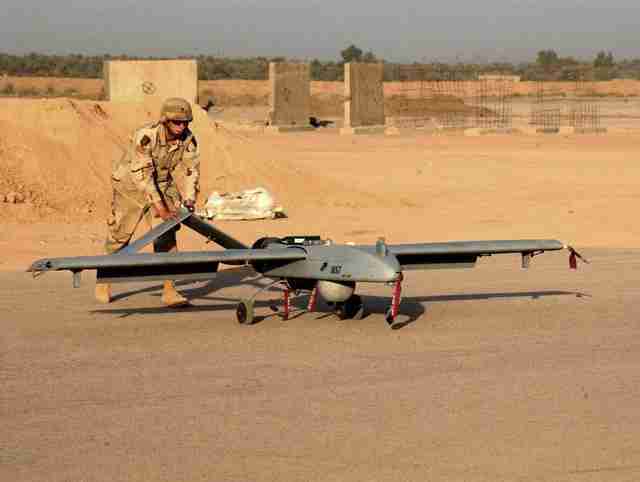 "Everyone believes UAVs are the 'solution du jour,'" Snitch said in the Trajectory article. "But you have to do the analysis and the math and really think about where you're going to put a comprehensive program in place." "So if at night you're in a huge reserve, based on our model I can tell you precisely where to fly your UAV that night and where to position your rangers to intercept the poachers before they get to the animals," Snitch said. Satellite technology is another important tool. Jonathan Hutson, architect of the Satellite Sentinel Project and now director of communications for the Enough Project at the Center for American Progress says satellite imagery is "indispensable" for its ability to "cover a wider area and avoid jurisdictional obstacles," but "it must be part of a larger toolbox." In Africa, Hutson's team uses the same model it formerly applied in Iraq and Afghanistan to reveal IED placement patterns and help locate the terrorists building explosives, according to the Trajectory article. The process starts with high-resolution satellite imagery, then adds data and runs an algorithm to determine where to fly the UAVs and position rangers. All of this technology must be developed and incorporated into the larger efforts to fight poaching of our planet's elephants, rhinos and other species helpless against AK-47s and highly sophisticated - and dangerous - networks.